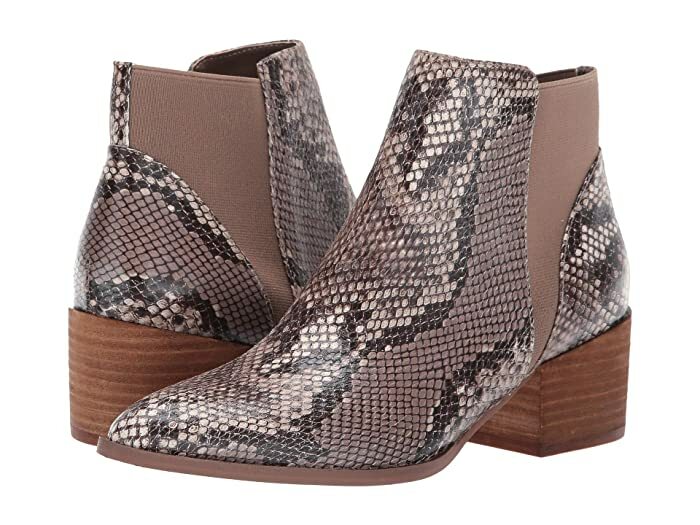 Achieve a striking look from season to season with the Chinese Laundry™ Finn bootie! 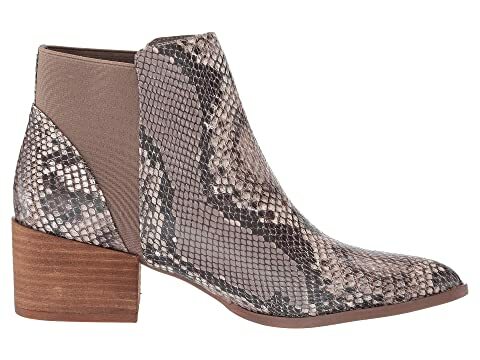 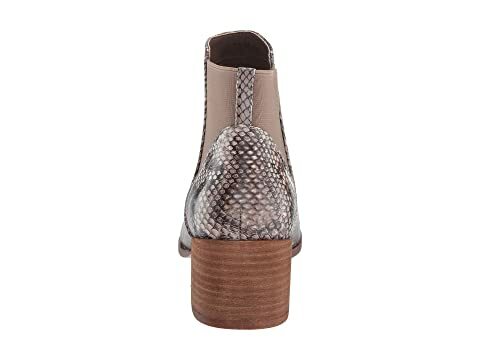 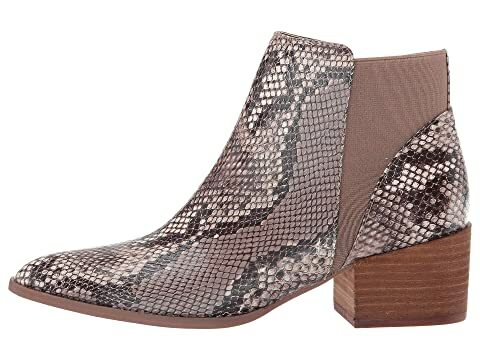 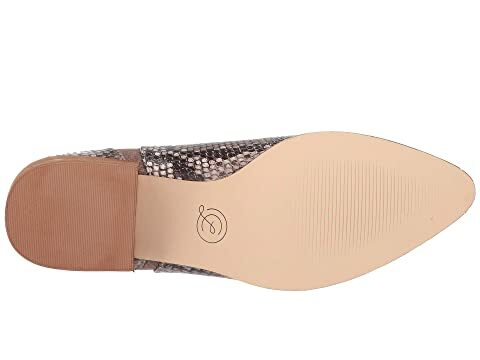 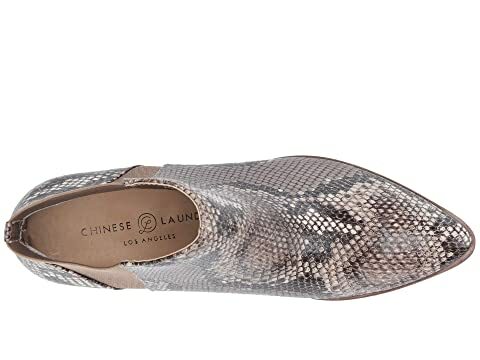 Heeled ankle boots feature a leather upper or synthetic, snake-embossed upper. 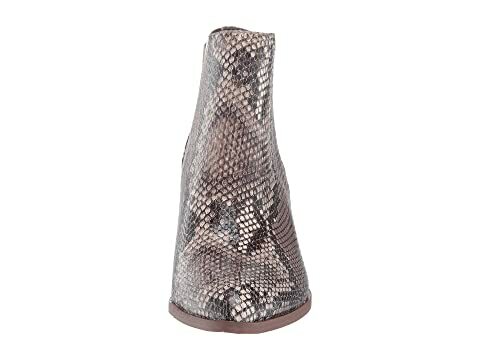 Goring panels for easy wear.